Having got past today's "yuuge" non-farm payrolls appetizer, markets are ready for their main course - a triple-header of Powell, Bernanke, and Yellen, (PBY) to feast upon. So, it's over to Powell to dove it up. 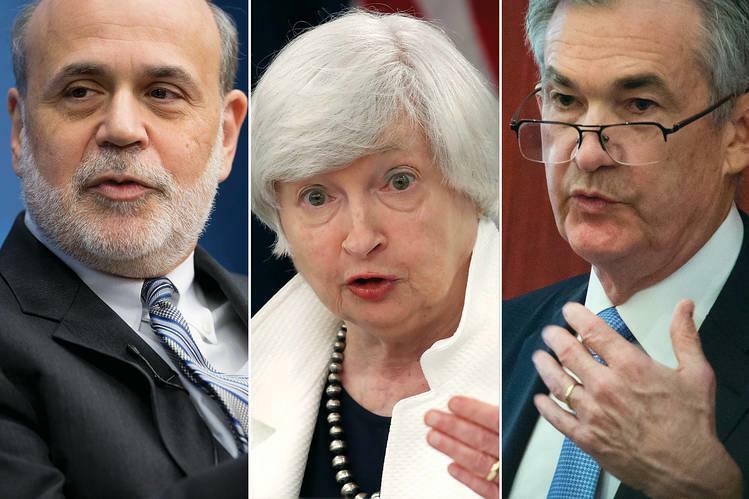 However, as Nomura's Charlie McElligott points out, today’s format is a hosted Interview panel with Powell / Bernanke / Yellen, so this is NOT a perfect set-up to shape any major policy pivot. 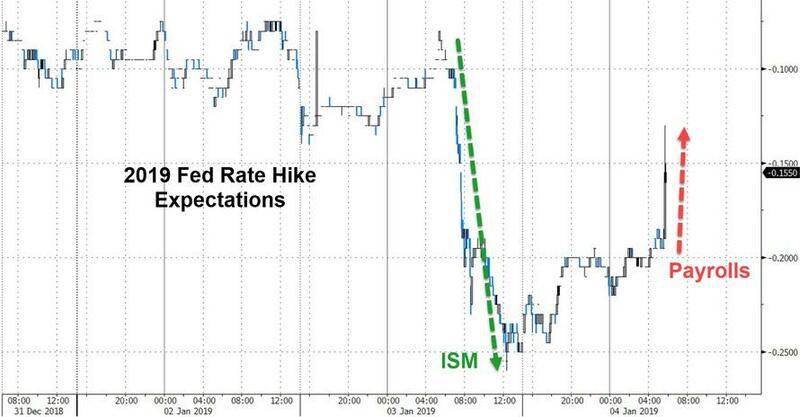 However, the story today is going to be about the market’s perception of Powell’s “relative dovishness” versus expectations. 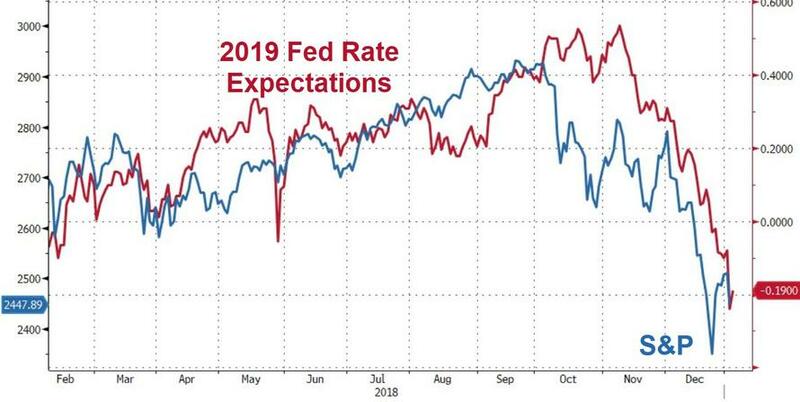 This “reality versus market expectations” takes on added risk ESPECIALLY after yesterday’s ugly ISM print being juxtaposed against his bullish economic assessment from last month’s Fed meeting. I AGAIN believe that there is a risk that the market is “wanting more dovishness” than Powell can give them today, as anything less than signaling a “pause” may disappoint incredibly “doved-up” markets. Powell is instead likely to continue with the status-quo “we are not on a preset course” message, voice that they remain data-dependent and that “economy is growing and we expect this to continue” line (Labor mkts especially) being counter-balanced against language showing that the FOMC “monitoring” market developments , tighter Financial Conditions and acknowledge recent slowing in Housing and Manufacturing. But, as McElligott concludes, if Powell disappoints today, we look to his speech at the Econ Club of Washington (Thursday 10-Jan, 12:00pm EST) as the better opportunity to “shift the message” IF required. Will Yellen reiterate her recent claim that a crisis is upon us again or will she resort to her previous line that there will be no more financial crisis in her lifetime? Will Bernanke reiterate his previous statement that "there will be no rate normalization is my lifetime" and throw Powell under the bus?